Winter has arrived and so has the Waikato fog. It finally cleared away by midday and crept its way back in by 5.oopm. A short blue sky and sunshine window! 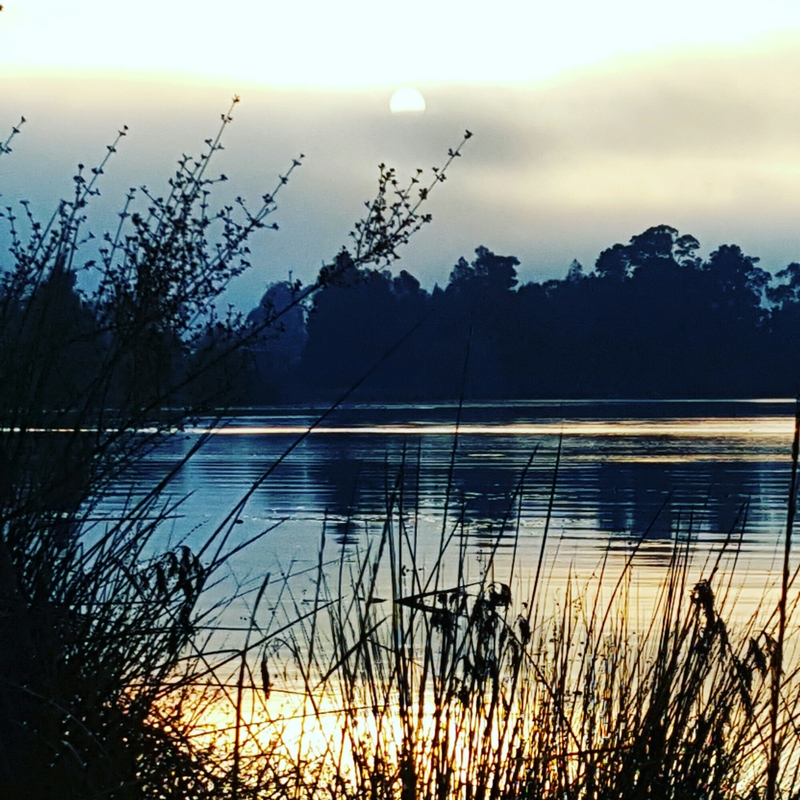 Think this photo gets the pick today – evening sun sinking into the mist over Lake Rotoroa.